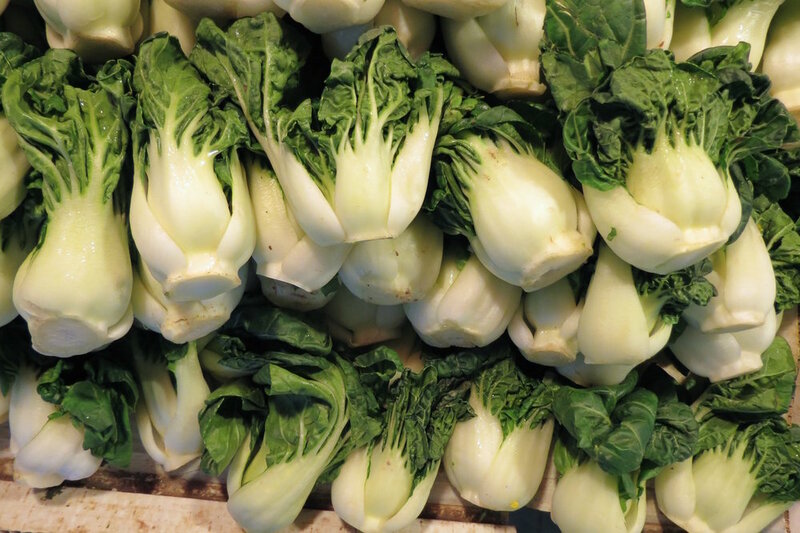 Take a side trip to Guangzhou and be inspired by the ingredients in the Enning Street market, choose your own ingredients for noodle soup in an alley kiosk, and appreciate the traditional hand-forged copper cookware. My search for the remaining artisans of Guangzhou's once vibrant copper market led me to Enning Road. 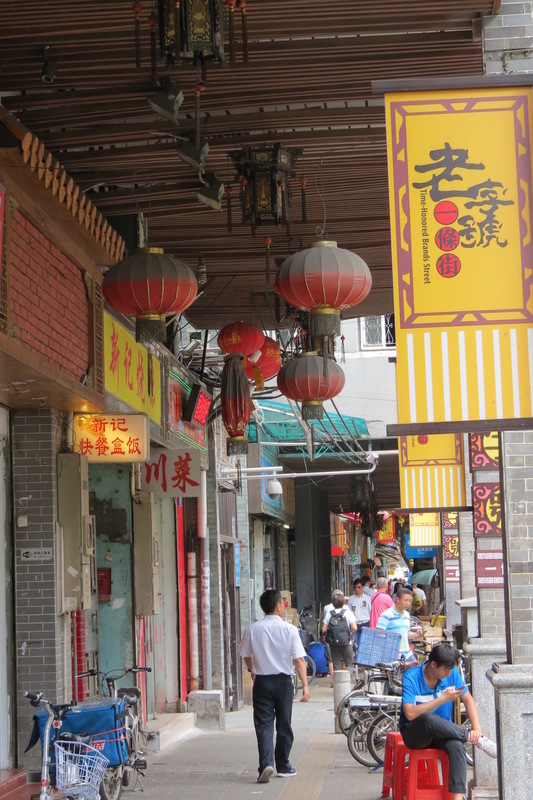 The road crosses several charming, foot path-lined canals in this city in the Pearl River delta. Although high rise buildings can be seen in the distance, Enning Road feels like you are in another era. The food market is lively and remarkably clean. 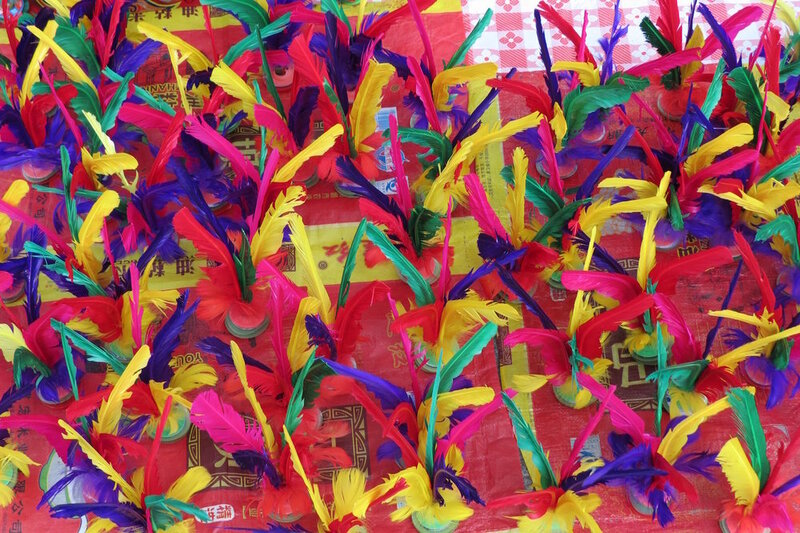 The vendors are cheerful and displays of fresh produce, roasted fowl, and fried tofu are artfully arranged. 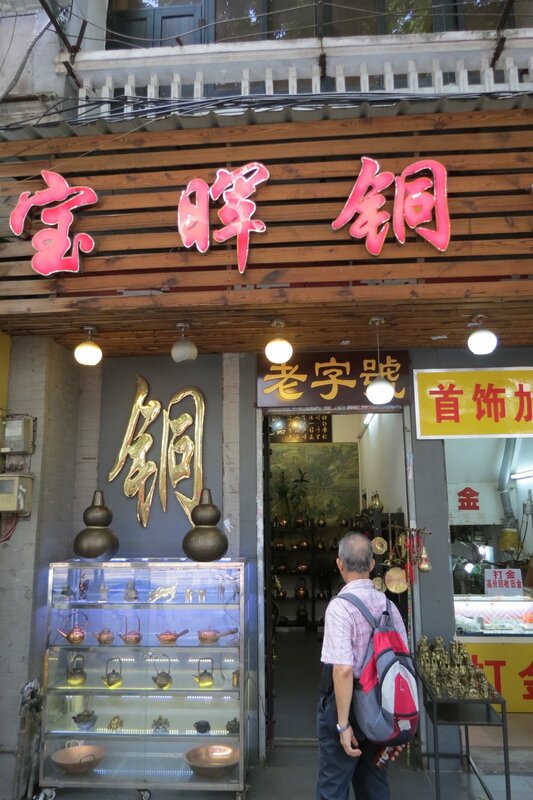 Across from the food market is a small shop that sells hand-forged copper tea pots, woks and braising pans. The shopkeeper married into a family of copper artisans. Crossing Enning Road is a street that has been dubbed the "Time-Honored Brands" Street, which runs all the way to the Liwan Lake and park. Despite the colorful banners that flutter on every lamppost, very few of the shops carry the famous Guangzhou brands; I found boxed juice and canned fish. A great approach to fitness! Adults enjoy the fresh air and get a good workout playing paddle ball and hacky sack at Liwan Lake Park.